This lecture proposes a test between the two main economic views of poverty. In the first, the poor start at a low level of human and physical capital but that does not affect the opportunities they have access to. In the second, the starting level of physical and human capital determines the opportunities individuals have access to, and so two individuals who are identical in terms of preferences and ability, but differ in terms of initial wealth will have very different opportunities. Evidence from a four years panel of over 23K poor households in rural Bangladesh provides strong support to the unequal opportunities view. The poor have access to fewer opportunities and only a sizeable investment can get them out of the poverty trap and onto the same trajectory as those starting out with more resources. The lecture will be given by Prof. Oriana Bandiera (LSE). The first GLOCREd workshop will be held in the Universitat de València, November 24, 2017. Three manuscripts have been selected by the scientific committee of the workshop and they will have the opportunity of been discussed in the workshop, they will also benefit from a fast-track in Revista de Historia Económica/Journal of Iberian and Latin American Economic History. Doctor Tommy Murphy, Università Bocconi, will give a seminar: “Following the poppy trail: causes and consequences of Mexican drug cartels”. 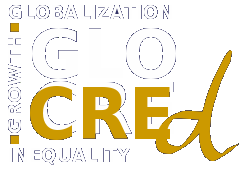 In addition to that GLOCREd research groups will present their achievements and future projects. The UC3M Inter-University PhD Workshop in Economic History will take place on the 18th and 19th of May, 2017 at the University Carlos III. It brings together PhD students from several European universities (Carlos III, Barcelona, Lund, Wien, Sciences-Po). The workshop is organized by the Universidad Carlos III and the Instituto Figuerola, with the support of GLOCREd and the University of Barcelona. Iberian Cliometric Workshop organised by Institute for Advanced Research in Business and Economics (INARBE). Universidad Publica de Navarra (UPNA). Check the provided link for the call for papers. 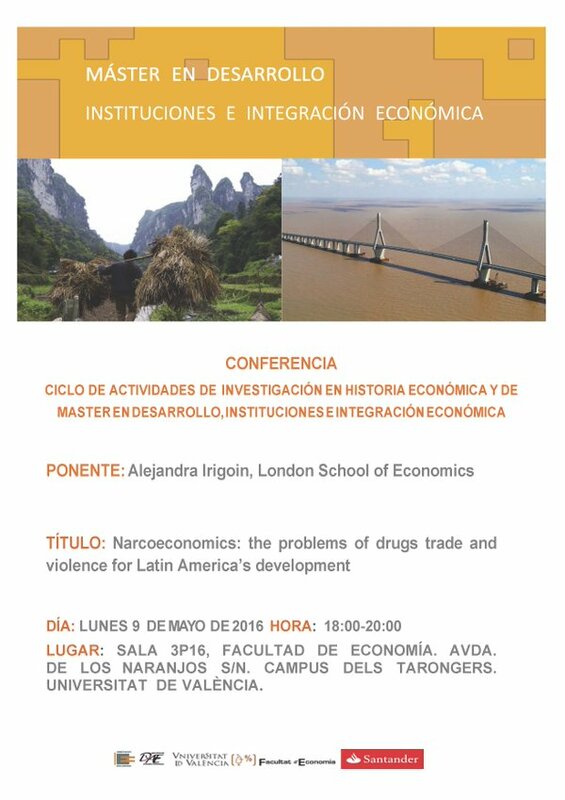 After a three successful meetings at LSE in London (2013), Geneva (2014) and Barcelona (2015) we are organizing the fourth round of the Workshop “the New Economic Historians of Latin America” in Madrid in January 2017 in collaboration with the LSE, the Instituto Figuerola of the Universidad Carlos III de Madrid, the GLOCREd network ‘Globalization, Growth and Inequality’ (ECO2015-71534 REDT), the Xarxa de Referència en Economia i Polítiques Públiques (Universitat de Barcelona), and the kind support of the FundaciÓn Areces (Madrid). The workshop will take place in Madrid in the premises of Funcadión Areces. The workshop 'Capital humano en España - pasado y presente' will take place the December the 20th 2017 in Ignasi Villalonga Room in the Faculty of Economy of the Universitat de València. Check the link for more information. Economic history day organized by the Banco de España. Different presentations and conferences will be held: - La teoría cuantitativa del dinero. La demanda de dinero en España: 1883-1998 (paper). - Endeudamiento dinástico y crisis financieras en la España de los Austria, 1557-1647: Corpus documental y estudio histórico (paper). - The Great Depression: lessons for policy today (conference). - A short introduction to the Historial Archive of the Banco de España (presentation). - Economic crises and the lender of last resort: evidence from 19th Century France (paper). - Central bank balance sheets and optimal government finance. The Bank of England during the French wars (paper). - Voting for welfare? Comparative performance in Ibero-American democratization (paper). - Health and welfare in Western Europe, 1900-1950 (paper).